Yes, I know. I'm 10 years late. I backed into this series due to my interest in the work of comics writer/artist Gene Luen Yang. Having read his books American Born Chinese, The Eternal Smile and Boxers/Saints, I discovered that he had written several graphic novels based on the Avatar TV series. I read them and was extremely impressed with the political sophistication of the stories. The Promise has to do with two ethnic groups both laying claim to the same land. Anyone who follows the news can easily see the resemblance to the middle east or Ukraine. The Rift has to do with the tension between technological progress and ecological preservation. Like life, these books don't present easy answers, showing that there are valid claims on all sides. I should also mention the art by the Japanese team known as Gurihiru, which is very attractive. So, knowing nothing of the backstory of the animated series but being impressed, I wrote Yang and asked where the stories came from. Did he originate them? He replied to me that they were written in collaboration with the series' creators Bryan Konietzko and Michael Dante DiMartino. Hearing this, I wondered if the series reached the same standard that the graphic novels had, so I've now watched all 61 episodes. I am very, very impressed. 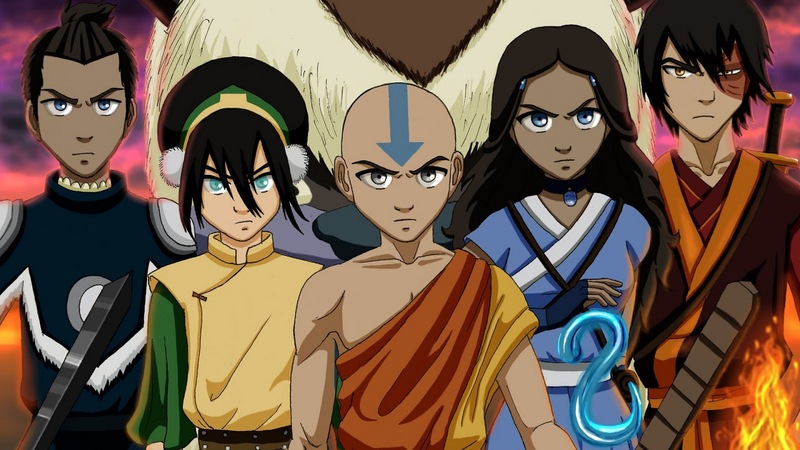 Briefly, the series is set in an Asian world where there are four tribes based on the elements of fire, water, earth and air. In these tribes, there are some who can manipulate their namesake element. 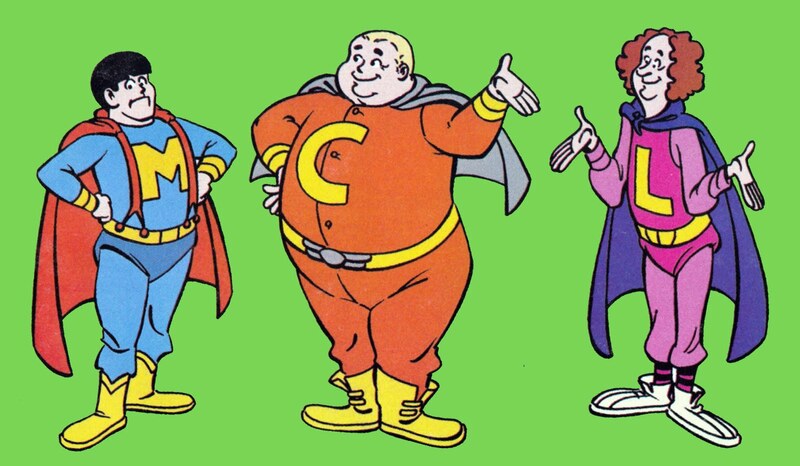 In essence, they're superheroes, though free from the cliches that have encrusted themselves around superheroes. The fire nation has attempted to conquer the rest of the world and the Avatar, who is the only one to master bending all four elements, works to end the war and restore a balance in the world. I can no longer claim to be an expert on animated TV series. I haven't watched a lot in the last 15 years. However, in my experience, I've never seen a series like Avatar. When I was working in production, there was a strong resistance from broadcasters for continuity between episodes. They wanted the ability to run them in any order without causing audience confusion. I'm amazed that Nickelodeon agreed to letting a story play out in continuity over several seasons. The result is a story that is novelistic. Characters come and go and their histories are filled in bit by bit. They have time to truly develop based on their experiences, so they grow organically. Just about every character gets screen time to become fully rounded. In too many children's TV shows, there are a handful of personality traits assigned to a character that they never move beyond, but in Avatar, characters reflect on their pasts as they try to figure out how they should move forward. The characters are driven by their emotional needs, not simply manipulated for the benefit of the plot. 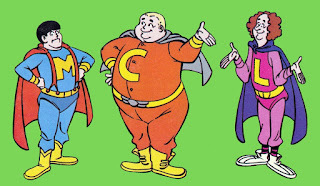 In addition to well-developed characters, there are themes here that are also rare for children's TV: war, genocide, racism, fascism, brainwashing, reincarnation, mysticism, loss of loved ones, and family relations that run the gamut from nourishing to dysfunctional. The fights and action scenes remind me a lot of Jack Kirby's work at Marvel in the 1960's. While there are explosions, collapsing buildings and characters thrown through the air who slam into objects, there are no broken bones and practically no blood. I was surprised to find myself caught up in what would happen to the characters. With so much formula storytelling on TV, for adults and children, that was a novelty for me. I would love to know how the creators managed to get this series approved. Did they reference The Lord of the Rings or Harry Potter in order to show that children would accept material this dense and downbeat? (There is a lot of comedy in the show, but a story built around a hundred year war is hardly a giggle fest.) I consider it something of a miracle that this show ever got produced, as it breaks so many of the accepted norms of children's TV, which tends to be relentlessly shallow and cheerful. It isn't perfect, but TV animation never is. The animation itself, done in Korea, suffers from the compromises of TV budgets, with animation on 3's, 4's and 6's. There's a six-legged bison character they never did get a believable walk cycle for. There are lots of held cels with only parts of characters moving. However, there are fight scenes and action scenes that are elaborately choreographed. The facial expressions are sometimes pushed too far based on the rest of the design approach, but even with the limited animation, the characters genuinely act. There are some episodes that feel like padding, included to fulfill a 20 episode season. However, there are interesting episodes that break expected patterns. "Tales of Ba Sing Se" features vignettes of each of the leading characters, allowing them time to develop outside the overarching plot. "The Ember Island Players" is meta-textual, where the characters watch a play based on their own adventures in earlier episodes and reflect on how they're being portrayed. I know that the creators followed this series with The Legend of Korra and I'll now work my way through that. Yang and Gurihiru have another Avatar graphic novel coming out in September called Smoke and Shadow. Their novels are broken into three parts and come out at three month intervals. This week, Yang's first written issue of Superman is in comics shops. I am surprised and encouraged that material this good has made it into TV animation. I might be the last person to discover this show, but if I'm not, I highly recommend it. It's been a long time since I've felt this good about an animated TV series. I'm in in the minority on this, but I was disappointed with Inside Out. There is no question that Pete Docter has the ability to emotionally affect an audience. My problem with this film, and on reflection with Up, is that he focuses too much on invention, and it gets in the way of the characters and the story. 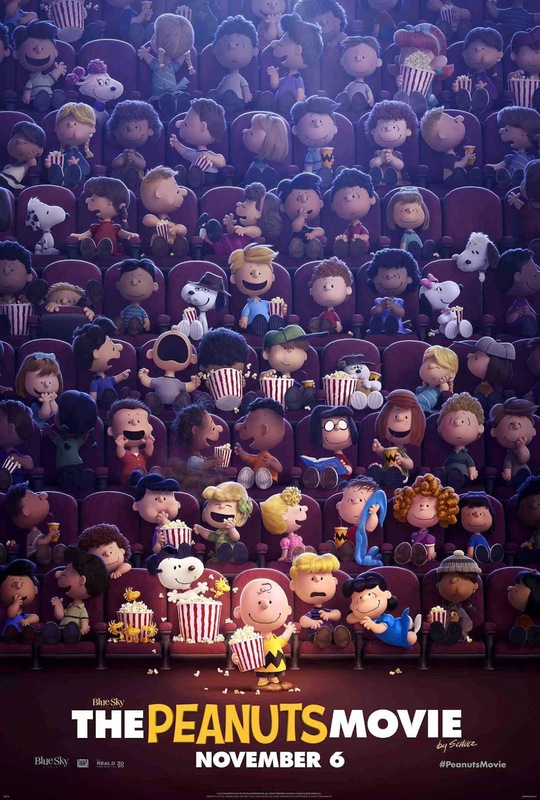 In Up, everyone remembers the montage of Carl's life with Ellie. Nobody talks about the absurd age and inventions of Charles Muntz. In this film, what people will take away is the characters inside Riley and the ending, but the world they inhabit is overly complicated. There is an lengthy journey for two of the characters inside Riley's head and there are all sorts of rules of the world that are introduced too conveniently. Characters and props appear during the journey that change the audience's sense of what is possible and what is not. It's hard to generate suspense when you never know when the equivalent of a magic wand will show up to help the characters. The problem is structural. The film makers had too many good ideas to fit in the beginning, and so by introducing them mid-film, the world was continually redefined to the detriment of the story. Here's a spoiler. If Joy can be sad and cry, why can't the other characters inside Riley's head go beyond their dominant characteristic and grow as well? The problem is that if you have characters who are incapable of change, you have no drama. But introducing change into one character reveals the other characters as nothing more than stereotypes, no matter how entertaining. The solution would have been to spend more time outside Riley. Because she contains conflicting emotions, it's natural that the drama should have played out there. But Riley is a puppet who can't experience emotions outside of what the characters in her head allow. While her experiences moving to a new city, entering a new school and screwing up in front of peers are all easy for the audience to empathize with, they are done in a perfunctory manner. We never see her interacting with the others in her school and so her experiences are left at the level of the generic. 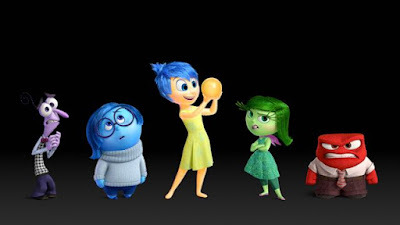 Inside Out contains a lot of good character comedy, inventive concepts and striking design. However, the dramatic logic of the film often gets broken under the weight of those things, and that's why I find the film unsatisfying. The Gobelins signal films for this year's Annecy festival are turning up online. They are all dedicated to women animators. As usual, the art and animation are beautiful. However, I'm a little wary of some of the historical interpretations, particularly the ones for Mary Blair and Evelyn Lambert. The Blair piece implies that Disney heavily edited Blair. Disney heavily edited everyone, but in Blair's case, he was always trying to get more of her look on the screen, much to the frustration of the animators. Blair was one of Disney's favourites and there are many artists who are better examples of being victims of Disney. In Lambert's case, the film is not very flattering to Norman McLaren. I wish the Lotte Reineger tribute had been done cut-out style. The film does use silhouettes, but it would have been more satisfying to me if the style was closer to Reineger's own. 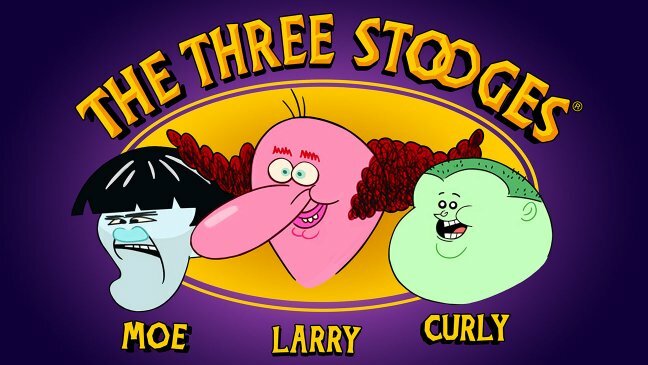 There's going to be a new 3 Stooges animated series. 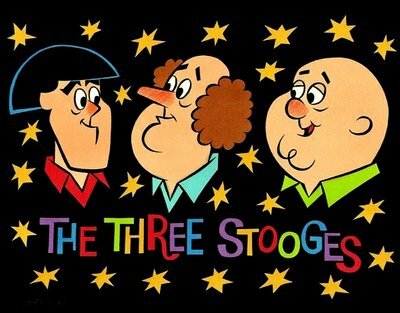 Let's look at how the Stooges have been treated in animation in the past. And now, we have this. 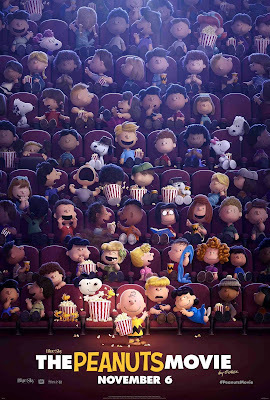 I was neutral regarding Peanuts being done in cgi. Now, seeing this poster, I shudder at a bad design choice. Putting photo-realistic hair on top of characters whose eyes and mouths are squiggles is ridiculous. It looks like they're all wearing wigs. I don't know if the hair is made of individually generated strands or done with textures, but the detail and the specular highlights are overkill. I'm curious to see these characters in motion. I wonder if the hair will have a lot of follow through, as that would be even more of a distraction than the way it looks in this poster. I haven't seen Brad Bird's new film, Tomorrowland, yet, but once again various reviewers are connecting Bird to novelist Ayn Rand's work, something that Bird denies. This article in Slate by Forrest Wickman says that Bird is drawing more inspiration from Walt Disney than from Rand. I think that both are missing a key point, possibly because nobody in the discussion has ever worked in the film or animation business. 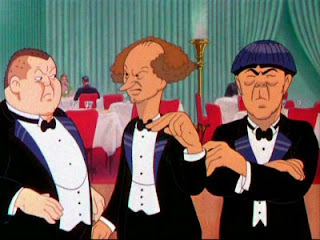 The criticism of Bird is that his films contain characters who are innately superior to the majority. This strikes many as elitist, though common sense tells us that we all know people who have an aptitude for something, whether it's music, math, sports, languages, drawing, etc. It's interesting that the idea of talent has become so controversial. Many claim that Bird expects his characters to be treated differently than those without their talents, and there's some truth in this, but not in a way that Ayn Rand would endorse. I am no Rand expert, but what I know of her writing is that it is elitist; those who are superior should not be dragged down by the inferior and should it happen, then the superior are justified in withdrawing their talents from society. As the Slate article points out, the idea of the elite going on strike is nowhere present in Bird's work. Rather than springing from elitism, I think Bird's work springs from artistic frustration and I think his career should make that obvious. In The Incredibles and in Ratatouille, the characters are trying to exercise their talents in ways that are beneficial. A key scene in The Incredibles is when Bob witnesses a mugging while being dressed down by his boss. His frustration doesn't stem from his inability to exercise his powers, but from the altruistic need to help someone who is being victimized. In Ratatouille, Remy risks his life repeatedly to get closer to cooking, something that would benefit people if only they didn't let their prejudices get in the way. Both are frustrated by a world which stops them from being who they are, even though the world would benefit. Now look at Bird's career. He was an animation prodigy, being tutored by Disney animators at the age of 14. His time at Disney after Cal Arts did not lead to any films of note. It was a low point in the company's management history, where no one with vision (artistic or economic) was willing to take a chance on the kind of animation that Bird wanted to do. At that time, Disney had Bird, John Lasseter and Tim Burton on staff and essentially wasted them all. Talent went unrecognized and unfulfilled. 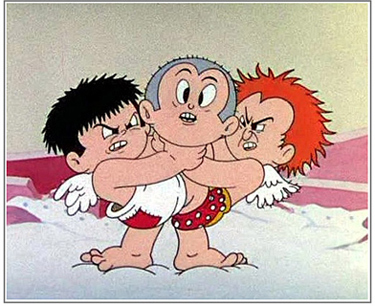 Bird tried to get several projects off the ground, such as his animated adaptation of Will Eisner's The Spirit and his own Ray Gunn without success. He didn't get to direct his first animated feature, The Iron Giant, until he was in his forties, twenty years after leaving Cal Arts. In moving into live action, he wanted to make 1906. He took the Mission Impossible film as a way of gaining credibility, but even after the success of that project, he couldn't get 1906 into production. Instead, he directed a film with a link to a Disney theme park. 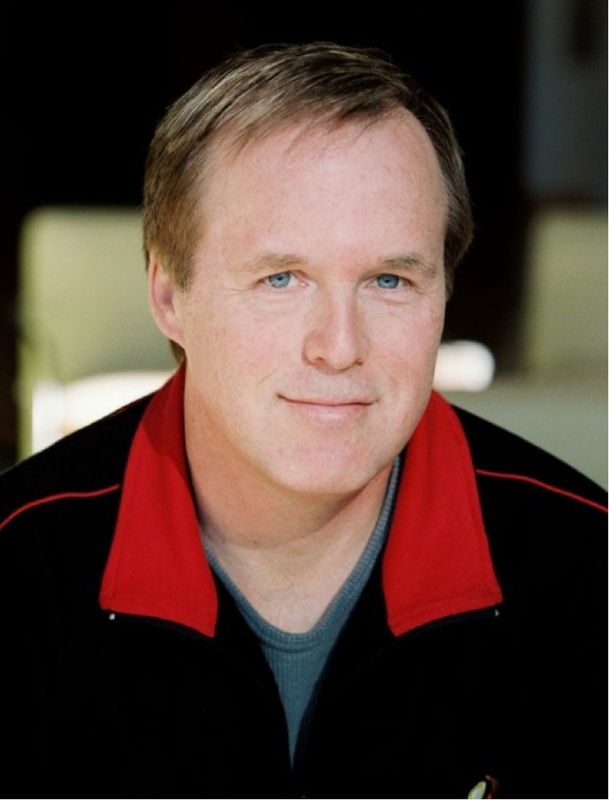 While fans are no doubt happy to hear that Bird will be working on a sequel to The Incredibles, he's going backwards at the age of 57, having to revisit an earlier success. As he's closer to the end of his career than the beginning, there are a limited number of films he has time to make. How many of them will be the films he wants to make as opposed to what Hollywood will allow him to do? Forget Ayn Rand and look at the animation business. It's filled with artists who would say that they're not doing their best work or are stuck labouring on projects that they have no great love for. It's true across the industry, which is why so many artists are involved in side projects that are an escape from the frustration of their day jobs. Bird has been more successful than most, but he still can't get his chosen projects onto the screen. The Incredibles and Ratatouille are fantasies where characters overcome obstacles to fully realize their talents. Unfortunately for Bird and the rest of us, it rarely happens in life.